(23) Dr Tuba One Pump Repair Kit. 3 Piece. Kitemare-Surf & Kite Shop / SPARE PARTS / Self Repair / (23) Dr Tuba One Pump Repair Kit. 3 Piece. The one pump system is awesome on kites as it saves so much time. When it starts leaking it's a right old pain! 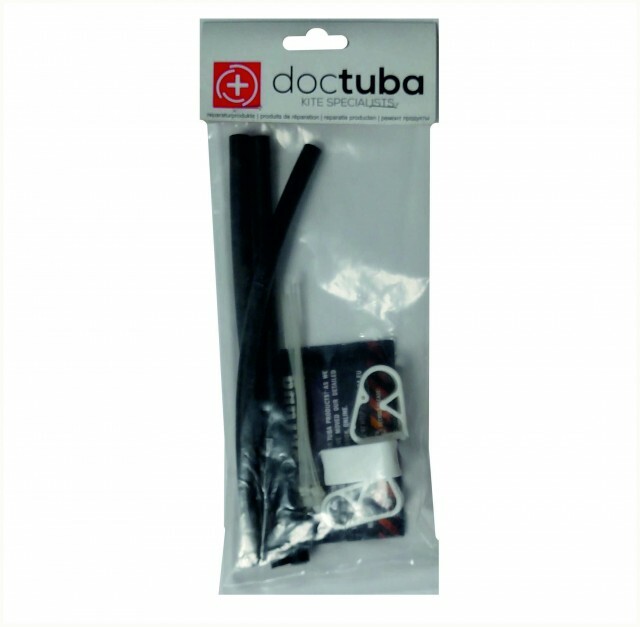 This neat pack from Dr Tuba solves the problem of the One Pump tubing. This tubing is over size so you can cut it to the same length as your existing tubes and will fit most kites (Won't fit Airush as they use a bigger hose). Very high grade UV stable tubing. The tube has an external diameter of 9mm and internal diameter of 5mm. 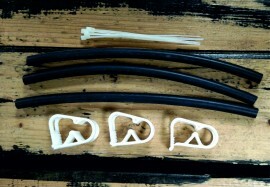 6 x cable ties. Perfect for a 3 strut kite. (24) Dr Tuba One Pump Repair Kit. 5 Piece.